In the wake of Brexit, crowing right-wing populists throughout the continent are calling for the further dismantling of the European project. But they are contending with very different domestic audiences. There was celebration among both right- and left-wing populists when the results of the Brexit referendum were announced. But while the Front de Gauche still hopes for a remodeling of the EU, the Front National is already preparing France’s exit. Two fists circled by the stars of the EU flag are freeing themselves from their chains – a quickly understood image, accompanied by the caption: “Brexit, and now France!” The result of the British referendum has barely been announced, and the Front National is already presenting its new poster repeating its demand for an exit referendum in its own country. No wonder: in that far-right party, British refutation of the EU is cause for celebration. Party leader Marine Le Pen triumphantly spoke of a “victory of freedom.” In the week following the referendum, she celebrated in a press marathon, the result of which is supposed to pave the way for a “free and sovereign” France. No other party followed the campaign as closely as Front National. If Le Pen were to become president, she would want to organize a referendum on France’s EU membership within the first six months of her mandate. She would use the interim to negotiate the country’s retrieval of complete sovereignty from Brussels. In the ideal world of the far-right, France would regain control over its borders and currency – meaning it would leave both Schengen and the eurozone. Moreover, it would reduce its net contribution to the EU budget to zero, and have a free hand in matters of economic policy so that it can engage in “smart protectionism.” National rights would have precedence over community rights. A newly created “Ministry for Sovereignties” would be responsible for the coordination of such negotiations. It is difficult to assess whether Front National would follow this hard line if it won the national elections. The debate within the party is more divided than it may seem, but the representatives of other policies – such as those advocating remaining in the eurozone – are completely marginalized. The Front National’s stance on Europe does not yet have majority appeal. According to a study conducted shortly after the British referendum, 45 percent of the French are in favor of remaining in the EU, while 33 percent would like to leave. But even if the supporters of a “Frexit” are still a minority, they are nonetheless a consequential bloc, one which will influence political discussion in the coming months. And as the population remains unenthusiastic about the future of the European project, political parties will utilize these doubts and fears all the more. The Brexit decision was grist for the Dutch far-right populists’ mill. Is “Nexit” looming? Even if there is at present no legal basis for a referendum, holding one could unleash an uncontrollable political dynamic. Geert Wilders enjoyed June 24. The far-right Dutch populist tweeted, “Now it’s our turn” right after the results of the British referendum were released to the public; he then repeated his longstanding demand for such a referendum in his own country. Wilders’ Party for Freedom (PVV) has been the most popular party in Dutch polls for almost a year. A majority of the increasingly euroskeptic Netherlands would like to vote on a potential exit from the EU. Right now, 48 percent of Netherlanders would vote for a “Nexit”, 43 percent against. This does not mean that anything is pre-determined. The legal basis for Nexit is lacking, for one thing. Referendums can only be held on new laws and contracts – though some are already wondering whether Nexit would not count as a contract modification, which would allow a referendum. But it is unlikely that Wilders would want to support such a tricky move. What looks more promising is the prospect of a corrective referendum, which would allow the country to address the question of EU membership directly. This possibility is stuck in parliament – the necessary change in the constitution would require a two-thirds majority that the first chamber does not have. But majorities could change, as there are new legislative elections in March. Most of the campaign will revolve around the country’s relationship with Europe. And the more the British government succeeds in mitigating the direst economic consequences of Brexit, the stronger Wilders’ position will be in the upcoming elections. 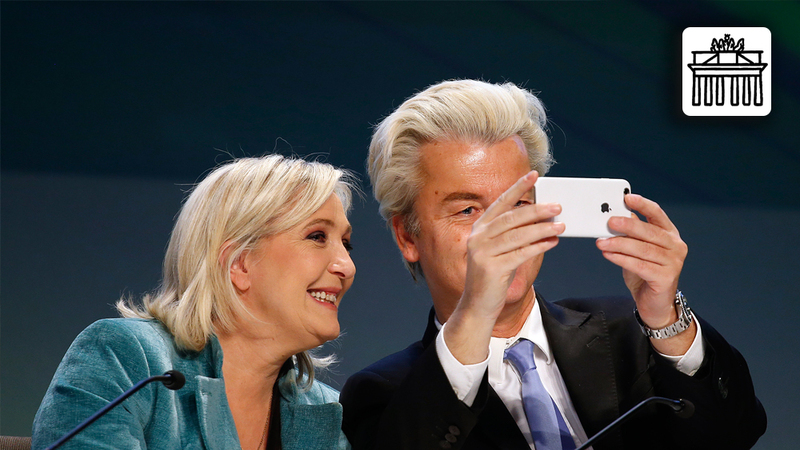 Moreover, the central parties are not only under fire from the right: when it comes to Europe, the PVV has an eager comrade-in-arms in the similarly euroskeptic and often populist Socialist Party (SP). Even though the left is not demanding a complete exit from the EU, it does call for a significantly downgraded EU membership. Neither the SP nor the PVV has made it into either national or local office so far. In 2010 Wilders came rather close to obtaining power, playing a minority role in a coalition of right-wing liberals and Christian Democrats under the current Prime Minister Mark Rutte. Wilders helped Rutte reach a majority, but the structure fell apart in 2012 when an MP left the PVV, saying he could no longer suffer Wilders’ “dictatorial leadership style.” Wilders cut the experiment short, recognizing correctly that he is better in opposition than in government. He has since become even more radical in his assertions. Politically, a Nexit vote would put the Netherlands in a difficult situation. A pro-European cabinet like the one currently in power could not bring about an exit; it would inevitably crumble. And if he wanted to avoid sizeable economic damage, a Prime Minister Wilders would have to put together a constructive hybrid solution for his country, which could prove challenging. He claims to have a plan for this, based mostly on reports he ordered from two British institutes. According to these studies, there would be short-term risks, but Nexit would be beneficial in the long run, bringing each Netherlander €9,800 more per year. The institutes admittedly assumed that the Netherlands would easily succeed in securing advantageous trade deals with the rest of the world, including the EU – even Wilders acknowledges that retaining access to the single market is essential. Under Wilders’ plan, however, Poland and Romania would maintain freedom of movement, and the Netherlands would still be on the hook for relatively high contributions to the EU. The Hague would have to accept EU laws almost entirely, without the ability to shape them in Brussels. If the guilder were re-introduced as an independent currency, it would, according to Wilders, entail costs for two years but then settle down; but he also thinks it would be possible to “follow the euro,” meaning the guilder would become a pseudo-euro. In terms of security policy, Wilders’ motto is “Out of Schengen, thick borders.” Muslims would stay out of the country. Police and law enforcement officers would cooperate outside the framework of the EU. Precautionary Brexit tourism among the Finns, disunity within the Danish People’s Party, a clearer anti-Europe course for the Swedish Democrats. As soon as the populists of Northern Europe are in power, they fall apart on EU questions. Resistance against the EU rescue fund, along with criticism of the common currency and Brussels in general, have helped the Perussuomalaiset party (the Finns, formerly known as the True Finns) grow. They first made it into government in the elections of April 2015, winning almost 18 percent of the vote. But only a few months passed before the party abandoned one of its main demands and voted for a new aid package for Greece in the summer 2015 for the sake of peace within the coalition. The Finns have had to learn how to build voter support when they are shaping policies from within government rather than rejecting policies from outside. In the meantime, the party’s approval ratings have fallen drastically; at the moment, only 8 percent of voters say that they would vote for them. In fact, many Northern European right-wing populists seem willing to compromise as soon as they reach power. After the Brexit vote, calls for EU exit referenda were understandably muted – it is one thing when such demands come from the opposition, and another entirely when they stand a realistic chance of success. For a long time now, Scandinavia has been a paragon of social democracy. Those times are over. 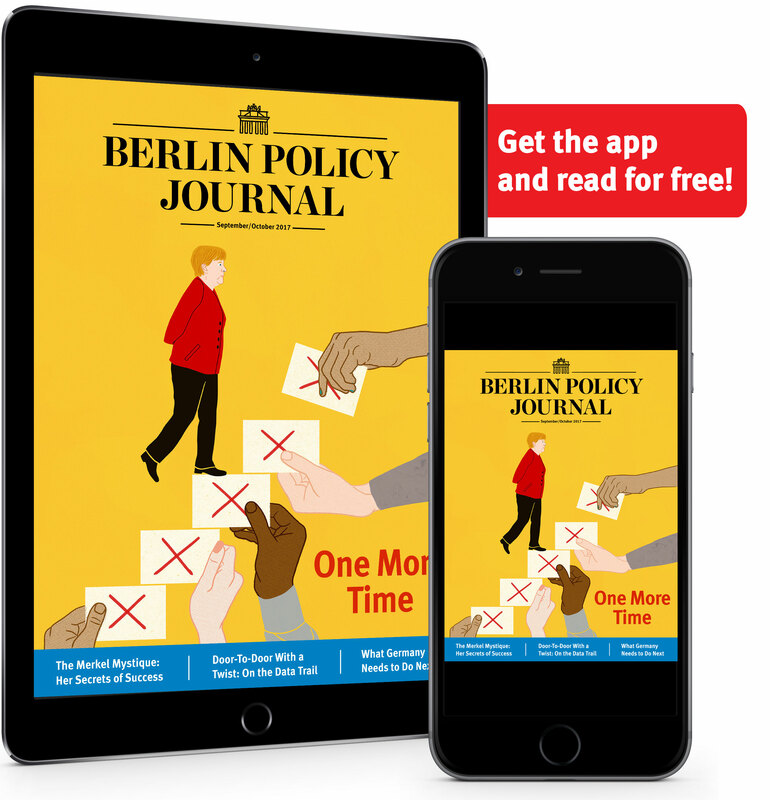 It is now the Northern European countries – with the exception of Iceland –where right-wing populists are enjoying some of their most dramatic victories, often earlier than in other countries. In (non-EU) Norway, the right – the Fremskrittspartiet, or Progress Party – has shown itself willing to negotiate on some of its core issues: now it takes the stance that the country’s robust financial cushion should be tapped only conservatively to avoid destabilizing the economy. 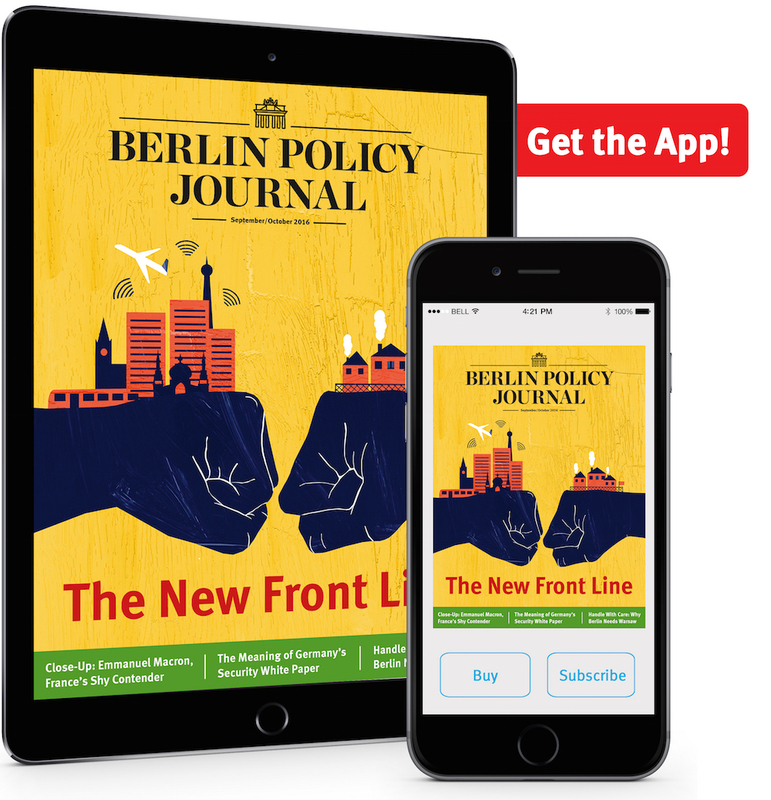 In Denmark, the Danish People’s Party (DF) was not ready to take on the responsibility of leading the government, even though it has represented the second strongest faction in parliament since June 2015. Instead, it has attempted to steer the ruling conservative government under Lars Lokke Rasmussen. Morten Messerschmidt is one of the DF’s most important representatives on EU questions. For seven years now he has pulled off a tricky balancing act: he has simultaneously been a part of the EU system as a parliamentary representative, while also one of its greatest – and most popular – critics. He received over 465,000 votes in the European elections two years ago, more than any Danish candidate had ever achieved. This means that Messerschmidt’s voice has a particular weight when it comes to deciding whether the Danes should demand a referendum following the British example. Yet Messerschmidt originally expressed a wish that the British majority would vote against Brexit; now he merely advises to “keep calm.” Conversely, the EU political speaker of the party – the far less influential Kenneth Kristensen Berth – has already declared that he would like a referendum to take place in Denmark if Britain succeeds in securing a good deal with the EU. In Sweden, the Left Party (Vänsterpartiet), which barely attained 6 percent of the vote in the 2014 elections, demands that Sweden’s EU membership put up for debate again; and the right Sweden Democrats (Sverigedemokraterna, 13 percent) want an exit referendum. Both are part of the opposition; a red-green minority government is in power. 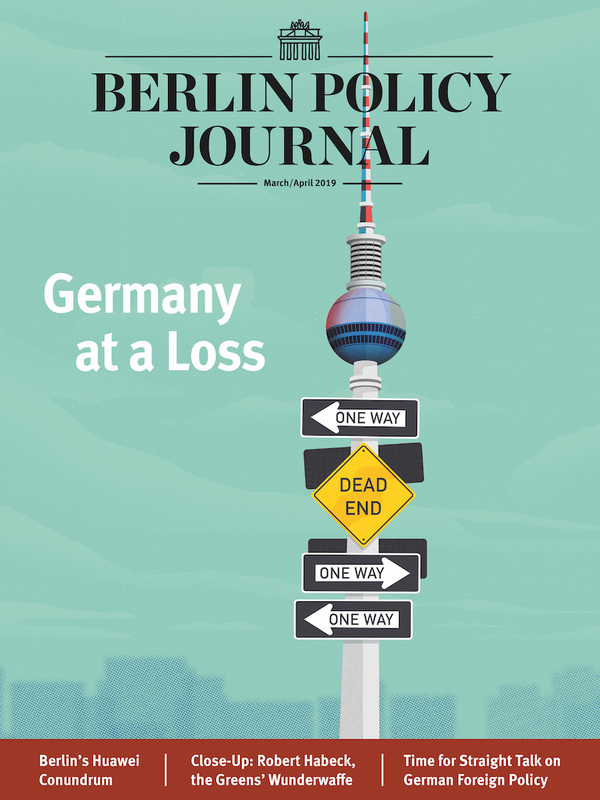 Read more in the Berlin Policy Journal App – September/October 2016 issue. heads the Franco-German Relations program at the German Council on Foreign Relations (DGAP) in Berlin. is EU correspondent at Süddeutsche Zeitung.